The feature appears to work almost exactly as you'd expect. 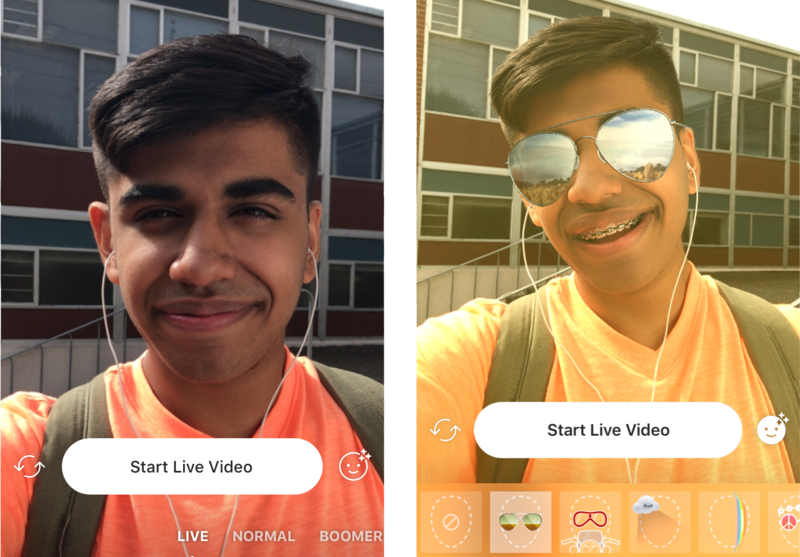 They're Face Filters — an entertaining overlay that follow you as you move — but soon you can use them in live broadcasts. 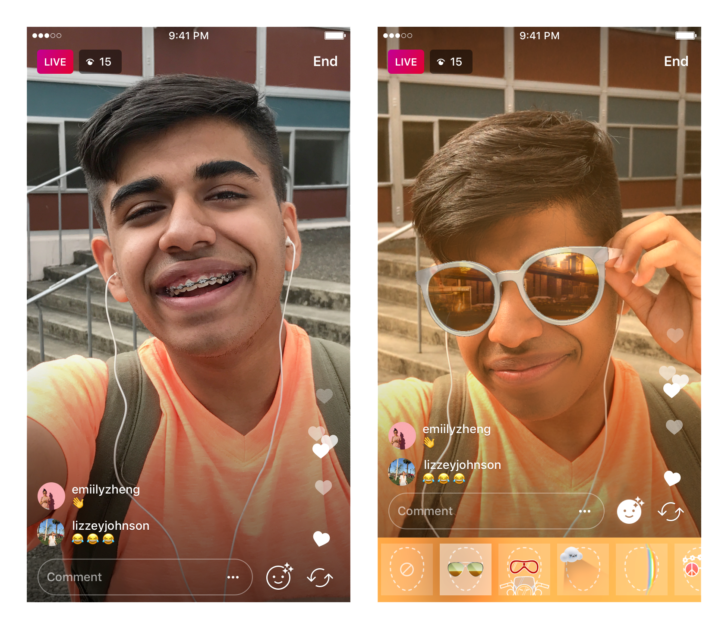 The Live Face Filters feature isn't available just yet, though. It'll be rolling out "over the next several weeks," so it's anyone's guess when this will finally land. When it does hit, you can access them via the face icon in the bottom right corner, either during your broadcast or before. The new sunglasses filter is exclusive to video for a bit, though. I'm a so-called millennial, but between Instagram and Snapchat, I'm entirely lost with all these rapid developments in digital narcissism. I guess I'll go tweet about that.